Wholesale Trader of a wide range of products which include online particle counter for water quality control, particle counting system for liquids, online particle counter for oil condition monitoring, particle size & shape analyzer, portable particle counting system for oil and online particle counter for fuel applications. 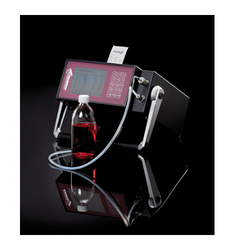 The PAMAS Water Viewer is a Online Particle Counter For Water Quality Control. Accepting and storing both analogue and digital signals, it can be integrated into nearly any type of measurement system. It automatically responds to conditions exceeding a predetermined threshold and reacts through signal alert or through automatic adaption of measurement routines.Multiple data interfaces make it as versatile as a Programmable Logic Controller. The PAMAS SBSS is a Particle Counting System for Liquids. 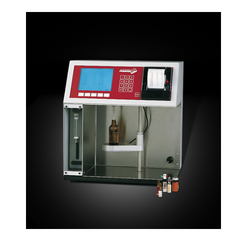 The PAMAS SBSS is the standard instrument used as a reference in many testing labs. The PAMAS S50 presents Online Particle Counter For Oil Condition Monitoring. Its rugged construction makes it resistant against mechanical, environmental and electrical threats. Condition Monitoring -more value for less money:The online particle counter PAMAS S50 optionally has four analogue inputs on board for four 4-20 mA signals that may be sent to a PC. • The volumetric cell design of PAMAS sensors measures 100% of the sample flow and guarantees highest accuracy and reproducibility. • The particle number and size distribution of all 8 size channels is reported in real time to the PC or PLC (programmable logic controller). The optional analysing software saves the measuring results and shows them in tables and graphs.This makes trends and events easily visible. • Due to its measuring accuracy and its trend monitoring and alarm features, PAMAS S50 reduces the risk of failures and ensures the reliability of the controlled operating system. Measurement range 0.1 ranging up to 5000 microns. 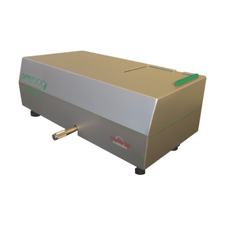 The DIPA2000i is a unique Particle size and shape analyzer that combines two complementary Measurement Techniques by uniquely integrating Laser Obscuration and Dynamic Image Analysis in one instrument. It provides complete sample information on particle size distribution and shape parameters, with high resolution and accuracy detection capabilities. 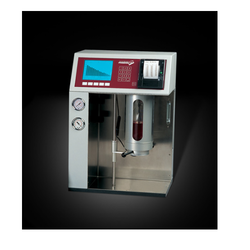 The DIPA2000i uses state-of-the-art genuine software, that allows comprehensive data analysis and automatic report generation, among many other useful analytical features.The DIPA2000i uses the FDA recommended analytical approach without needing any prior knowledge of the sample and with no calibration required. 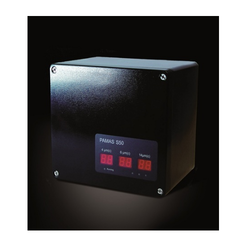 The PAMAS S40 is a Portable Particle Counting System for Oil. A backlit touch screen for menu guided user access, and an additional membrane keypad give easy operation. The integrated printer provides instant hardcopies of measurement results. Highly versatile due to a powerful 32-bit microprocessor allows multiple automated sampling and data storage. User-friendly download software for transfer of stored measurement data to a PC as a basic feature. Data fi les are compatible with most spreadsheet software. 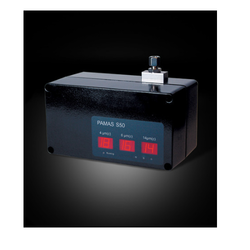 The PAMAS S50P Fuel works on Online Particle Counter For Fuel Applications. Its rugged construction makes it resistant against mechanical, environmental and electrical threats. Condition Monitoring -more value for less money:The online particle counter PAMAS S50P Fuel optionally has four analogue inputs on board for four 4-20 mA signals that may be sent to a PC. • The particle number and size distribution of all 8 size channels is reported in real time to PC or PLC (programmable logic controller). The optional analysing software saves the measuring results and shows them in tables and graphs. This makes trends and events easily visible.• Due to its measuring accuracy and its trend monitoring feature, PAMAS S50P Fuel reduces the risk of failures and ensure the reliability of the controlled operating system. 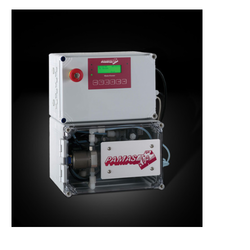 The PAMAS SVSS is a Particle Counting System for Infusion Solution & Clean Fluid. The laboratory instrument is designed especially for the particle analysis of low viscous, aqueous solutions. For the contamination analysis of higher viscosities, PAMAS offers the particle analysing system PAMAS SBSS. Looking for Analytical And Laboratory Instruments ?